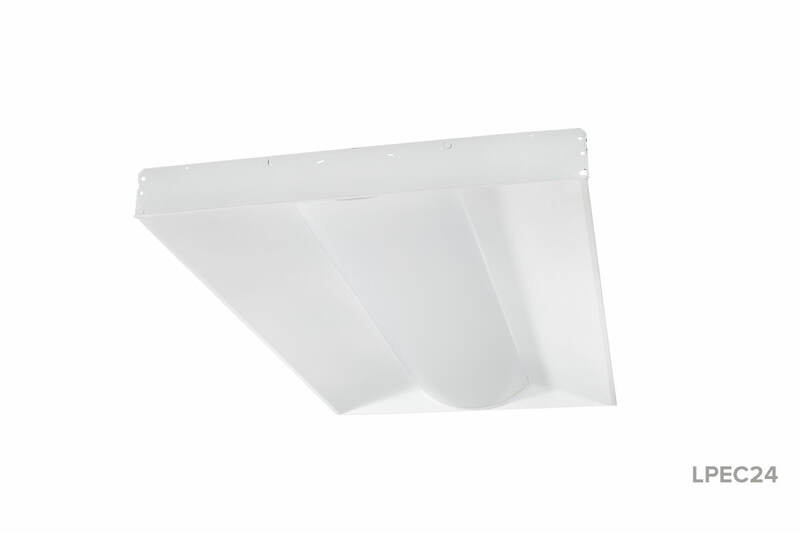 The BAS LPEC Series are indirect LED troffers available in three sizes and a variety of lumen outputs. 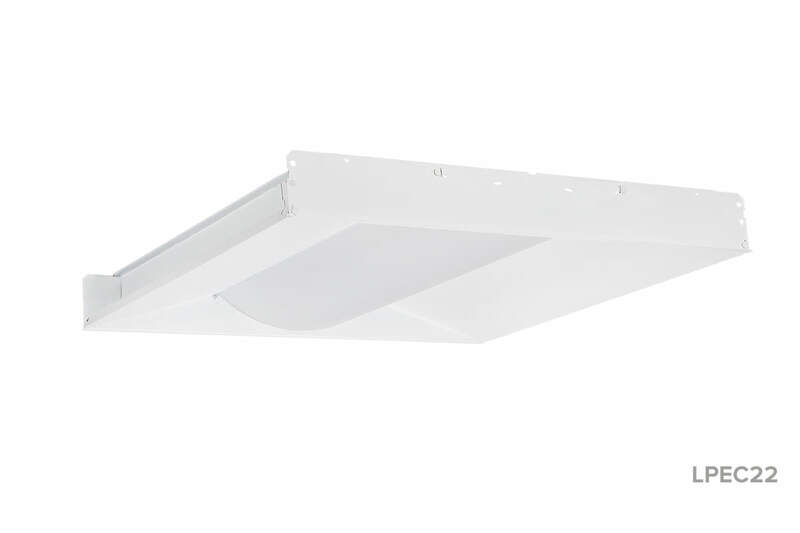 Low profile housing and easy installation make the BAS LPEC Series an excellent fit for facilities with tight spaces or drop ceilings, such as classrooms, hospitals, offices and airports. 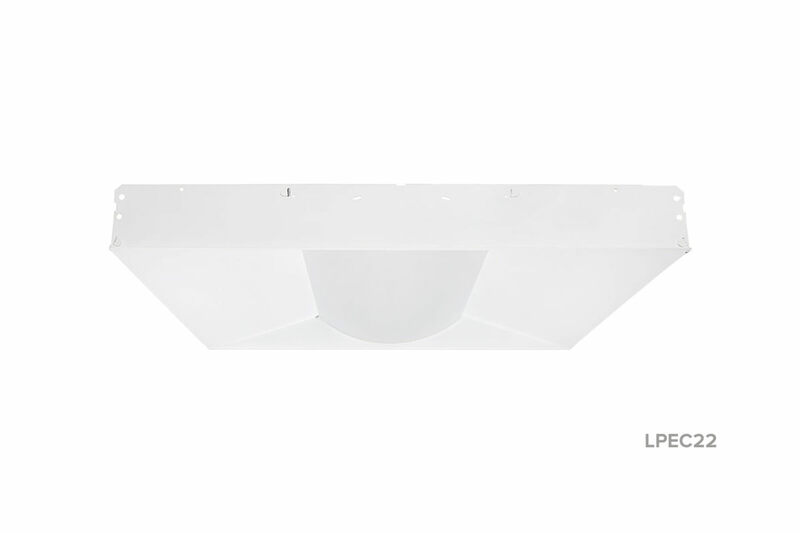 This robust LED guarantees high performance and long-term illumination with little maintenance over time. Kickass die-formed steel housing provides long-lasting durability, perfect for commercial applications. A recyclable design contains no mercury or other hazardous materials. Hallelujah! Features a smooth, full-radius, high-transmittance acrylic lens. A lumen range of 2,880 to 7,080 means we’ve got you covered, no matter your footcandle requirements. Super Saver (SS) – a more energy efficient LED/driver combination type. High Output (HO) – provides higher lumen output when more light is needed. Very High Output (VHO) – provides maximum light output. 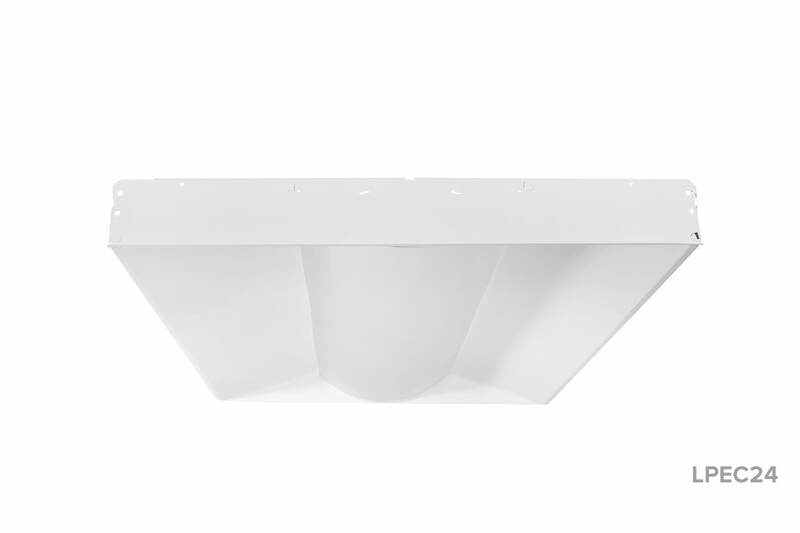 Indirect lighting ensures even illumination with low-angle brightness control. Cooler running electronic components allow for improved lumen performance. Use the same fixture for different applications. Try the 3500K option when you need soft, warm lighting. Choose the 4000K option for environments where sharper, cooler light is preferred.